June « 2010 « Welcome to Property Source Nation! Question: What could be more important than your business plan? An Agent’s daily and weekly habits are more important than the quality of their business plan. Both, plan and habits are best. But of the two, habits rule. Consider these two Agents. Which would you rather be? Amy Agent has a great plan and lousy habits. She is really excited about her plan. But… her lack of habits means that she does not consistently take action. Her lead generation and follow up are mediocre. Her marketing is random. Her service and communication with her Clients is hit or miss. It is easy to imagine how these lousy habits limit Amy’s success and add to her frustration. In contrast Annie Agent actually has no formal plan but she has great habits. She always feels like a better plan would help her. But… on the same days of the week, at the same times, in the same place, in the same way she consistently follows up her leads; sends direct mail, e-mail blasts, and blogs. She communicates with her Clients on schedule. It is easy to imagine how Annie’s habits feed her success, create personal satisfaction and a better quality of life. Habits Work. Consistency Works. Consistency Wins. It’s universal. Habits ensure success in every endeavor. The athlete and the team with the better habits win. The marriage with the better habits thrives. It’s Not Time Management. It is Priority Management. Time management seldom works. Priority management always works. There are eight priorities that guarantee success in a Real Estate career. Scheduling them is remarkably easy. Developing the tiniest bit of discipline around them, one at a time, turns them into habits. Presentations, handling pending transactions, showing, offers, negotiating, etc are also priorities but they are dependent on other people’s schedules. Therefore they are difficult to build as habits. Turning the above eight priorities into habits guarantee the presentations, showings, offers, etc that result in your success. Schedule the priorities, for 30 minutes (at the beginning); first thing in the morning as soon as you sit down at your desk. That’s not the real key. This is; complete the priorities for that day before you open your e-mail! Schedule each priority on the same day of the week, at the same time, in the same place, and get started in the same way. Start with one priority at a time. Once you experience the value of having one habit. You will be motivated to add the next. Start with 30 minutes or less. This feels less burdensome. It motivates efficiency. And the fact is that you can accomplish a lot when you are really focused for 30 minutes on one priority. In all of my workshops, on every topic, I teach Agents to create habits. I teach Agents to implement the topic of the workshop through better habits. Let me be clear. Business planning is very important. In fact planning is a main focus of my coaching and teaching. But I know that your habits, not your plan, dictate your success. And it is your habits that will guarantee the implementation of your plan and the success of your business and your life. Rich Levin speaks to Real Estate audiences coast to coast on raising Agent production. He customizes a coaching plan and business strategy for each of his Clients. His planning tools are simple and extraordinarily effective. People immediately recognize his sincere desire and commitment to improve the business and the life of everyone he encounters. Contact Rich at 585-244-2700 rich@richlevin.com. 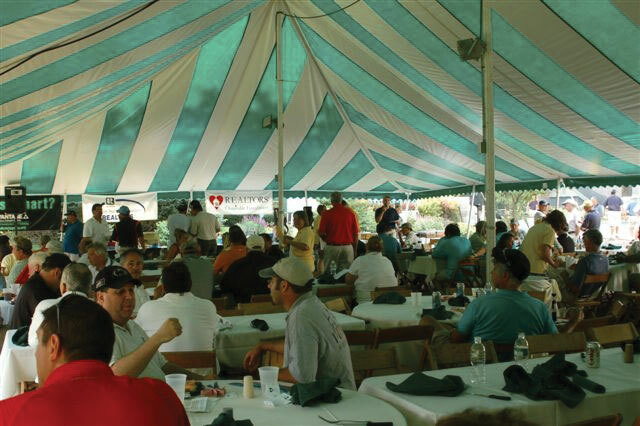 More than 400 real estate professionals are expected to take part in the 2010 REALTORS® Charitable Foundation (RCF) Golf Classic, to be held on July 12, at Shadow Pines, Shadow Lake, and Greystone Golf Clubs. Participants will have an opportunity to take a day off from what is normally a very busy time of the year for REALTORS® and other professions associated with the real estate industry, while raising money for a very worthy cause. The annual event is open to the general public and is hosted by the Greater Rochester Association of REALTORS® (GRAR), Gateway Funding, and WROC TV 8/Fox Rochester. The REALTORS® Charitable Foundation serves as the philanthropic arm of the Greater Rochester Association of REALTORS®, an organization that provides resources, education, and promotes professionalism for its more than 3,000 members. RCF supports charitable organizations that help to increase affordable home ownership opportunities, build healthy neighborhoods, or mitigate critical housing needs. Since its inception in 2001, the Foundation has awarded more than $430,000 in grants to 35 local charitable organizations. It receives its support from area REALTORS®, GRAR, and various other fundraisers. Last year’s golf tournament netted more than $23,000. News 8 Now at Sunrise and Noon Anchor Katrina Irwin and well-known local personality Dee Alexander will co-emcee the dinner portion of the event. For sponsorship and registration information, visit http://www.grar.org/Events.html, or contact Diane Rosen, GRAR director of events at 341-2122, or drosen@grar.net. When you turn into the Watersong subdivision off Five Mile Line Road, you immediately notice that there are some nice homes that line the street. As you continue down the winding road, you see the five featured models under construction. Custom homes with everything state-of-the-art. 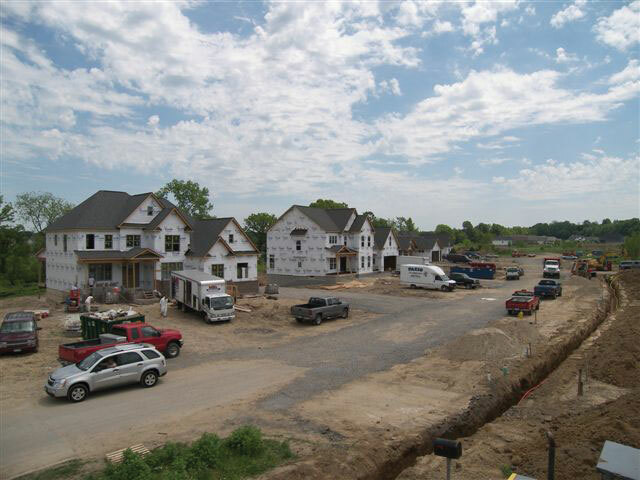 The 2010 Homearama event is officially under construction and crews are working diligently to get these homes finished for the grand opening. 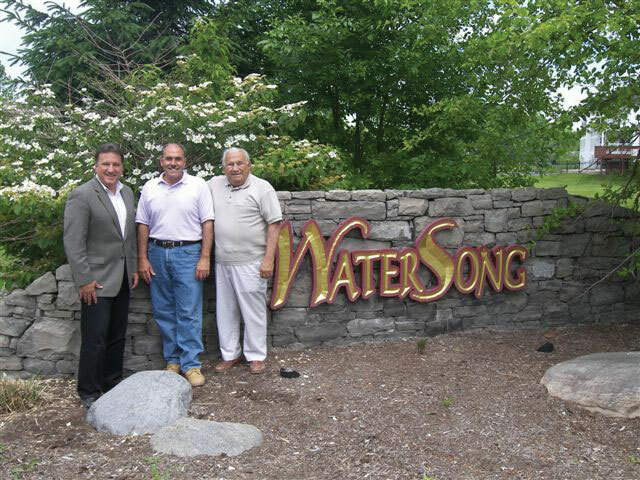 This year’s event is scheduled for August 14th – 22nd in Penfield at Watersong. Homearama is a product of the Rochester Home Builders Association and has been running for over 30 years in this area. The original intent of Homearama was to show people practical applications and products available to them in new homes, like the newest advancements in siding, roofing and architectural changes. As the times changes, Homearama has adapted to lifestyle changes. Rick Herman, Executive Vice President of the RHBA is excited about this year’s event. “People come to see the newest trends in home building and home decorating. In addition to the advancements on the inside, we have a number of homes developing the outside with a big yards with patios, pools and extensive landscaping.” The idea of staycations are prevalent in these models. Ticket prices have not been announced yet for the event, but will be available at the door. The Rochester Home Builders Association will have coupons and information by the end of June. Visit their website at rochesterhomebuilders.com. You can also find the featured builders, model floor plans, vendors, schedule of events and of course discounts.